Sullivan Canyon will be closed to visitors Tuesday August 12th for a Hydro-Static Pressure test of the natural gas transmission pipelines. Please schedule your visit accordingly. This closure if for safety reasons so please do not access the canyon from any of the side trails. The canyon will be open again on Wednesday provided there are no problems with the test. Please use caution as you pass construction equipment, and we recommend keeping dogs on a leash so they are not harmed by equipment as well. Since 1960, Southern California Gas Company (“SoCaIGas”) has owned much of the land that comprises Sullivan Canyon (more than 4 miles in length). This property is used as a corridor for two transmission pipelines that provide Los Angeles residents with a safe and reliable supply of natural gas. Periodically, SoCalGas must perform maintenance on these pipelines. The purpose of this letter is to provide information on pipeline maintenance and repair work that will occur in the coming weeks. SoCalGas will conduct a hydrostatic pressure test on a segment of one of our natural gas transmission pipelines in Sullivan Canyon. Hydrostatic pressure testing is a process that uses water to exert pressure on a pipeline at levels greater than its usual operating pressure to assess its soundness, often referred to as its integrity. This test involves digging around the underground pipeline and safely venting natural gas from the pipeline. We will then fill the pipeline with water, and increase the pressure to a level that is higher than the pipeline’s normal operating pressure. If the pipe holds the pressure without any leaks, it will be put back in service. If the pipeline leaks during the test, SoCalGas will repair the pipeline and retest it, or replace it with new, pre-tested pipeline. The construction work will take place at several locations starting west of the Sullivan Canyon trailhead at the end of Queensferry Road and about a quarter-mile northwest of the trailhead. Work will begin in June 2014, and last about four to six weeks, although weather and other factors affecting safe working conditions could change the schedule. Normal work days will be Monday through Friday 7:00 a.m. to 7:00 p.m., however, some activities may extend the hours. At Sullivan Canyon Trailhead at Queensferry Road, a test-start location will be staged just west of the trail with an excavation site, water tanks, and other equipment. This area will be closed to the public. About a quarter-mile northwest of the trailhead, a test-end location with excavation site and support equipment will be staged alongside the trail. This area will also be closed to the public. Hikers, bikers, and others traversing the trail should use caution while passing by both test site locations. For safety reasons, Sullivan Canyon Trail will not be accessible by the public on the actual test day for the duration of the test. Check local signage with updates on construction activity. The local community may notice truck traffic bringing test equipment and water tanks to the test sites and then removing them. Nearby residents may hear some work-related noise. Your gas service should continue without interruption. If that changes, a SoCalGas representative will contact you. At times, you may smell the odor of natural gas and hear a loud, steady noise as we vent natural gas from the pipeline using safe and common techniques. Although this is normal when crews are working, we encourage anyone who has concerns about the smell of gas to call us from a safe location at 1-800-427-2200. We are available 24 hours a day, seven days a week. We apologize for any inconvenience while we’re performing this test and appreciate your patience and cooperation. So Cal Gas has completed mandated maintenance work on the pipelines in Sullivan Canyon. The canyon is now open for use. As I have mentioned before. There is another maintenance project occurring in the canyon in early May 2014. I will inform you about the impact to the canyon as well as timeline once I have all the information. 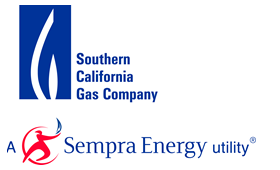 Please be aware; at the end of the Sullivan Fire Road north of Mulholland Drive, Southern California Gas Company (SoCalGas®) will soon be working in the area to perform a pressure test on one of our natural gas pipelines. You will see SoCalGas and its Contractor’s trucks, water tanks, and heavy equipment. I know a lot of you use this road for hiking and biking. My understanding is the road will not be completely blocked so you will be able to pass through. Work will begin late March 2014, and last until approximately early in May 2014, although weather and other factors affecting safe working conditions could change the schedule. Thank you for your patience regarding Sullivan Canyon closures. 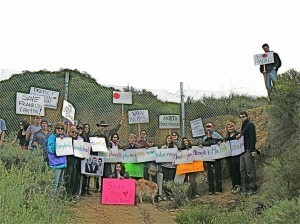 Please understand Sullivan Canyon is private property, owned solely by the southern California gas company. Its primary function is a corridor for two high pressure gas lines. Because of its natural beauty, we make it available for public use. Periodically, we must complete state and federally mandated maintenance on this pipeline to insure its integrity and public safety. This maintenance may require partial or complete shutdown of the canyon, depending on the nature of the work. We try to keep the public informed of this work, scheduling and user impact. We are mountain bikers but we too sometimes ride our bikes on the streets. 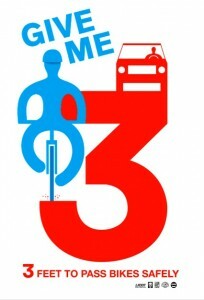 Please help us to support California Bicycle Coalition 3-foot passing legislation. Senate Bill 910, cosponsored by the California Bicycle Coalition and the City of Los Angeles, would require motorists to give bicyclists at least three feet of clearance when passing from behind under most circumstances. The California Senate approved SB 910 on June 1. On Monday, June 27, the bill will be up for a vote by the Assembly Transportation Committee. We need bicyclists like you to contact Assemblymember Bonnie Lowenthal, the chair of the committee, by phone, email or fax to let her know why this bill is so important to the safety of all bicyclists on the road! A file documenting all messages of support for SB 910 accompanies the bill as it moves through the legislative process. This information is read by legislators and their staff and helps make the case for the bill. Your voice definitely counts! The deadline for calling or sending a message is 5 PM Tuesday, June 21. You can express your support for SB 910 by phone or by email or fax. Click here for more information. Voice Your Support of Trails TODAY! Our partners at America Bikes just found out late last night that the U.S. Senate’s Environment and Public Works Committee is deciding what goes into the next federal transportation bill today and tomorrow. We need every advocate in California to take action TODAY! If we don’t act now, dedicated funding for biking and walking programs may be written out of our transportation system for the next six years. Senator Barbara Boxer is the chair of this committee and we need you to get word to her in every way and medium possible TODAY that we’re counting on her continued support for dedicated funding for biking and walking. In every media interview related to Bike to Work Week, please be sure to thank the Senator for her continued support for dedicated funding for biking and walking, specifically Transportation Enhancements, Safe Routes to School and the Recreational Trails Program. In addition, we ask that you alert all your members and supporters as soon as possible, urging them to call the Senator’s office today. Please use the message below. Our apologies for hitting you on a day when you’re already very busy, but we just learned of this after 10 p.m. last night and with all the media being generated about Bike to Work Week this is a great opportunity for maximum impact. Again, we can’t stress the urgency enough: To preserve dedicated funding for biking and walking in next transportation bill we need California to get Sen. Boxer to take action today. If you have any questions, please don’t hesitate to contact me at (916) 446-7558 or dave@calbike.org. Senator Barbara Boxer needs to hear from you RIGHT NOW. The committee she leads in the US Senate, the Environment and Public Works Committee, is deciding what goes into the very important federal transportation bill today and tomorrow. She needs to know that we want her to fight for bicycling and walking programs like Transportation Enhancements (the federal funding sources that helps pay for bicycling and walking facilities and programs throughout California), Safe Routes to School and the Recreational Trails program. If we don’t act now, bicycling and walking programs may be written out of our transportation system for the next six years. At this very moment, she is negotiating with other senators who don’t think bicycling and walking are an important part of the transportation bill. She needs to know that we have her back on this issue and she shouldn’t give up on these crucial programs. Calls to DC are best. Her Washington, DC office number: (202) 224-3553. If it’s busy and you’re short for time, here’s her LA office number: (213) 894-5000. Reposted from an email sent to CORBA by Ellen Scott. For more information email epaulascott@gmail.com. For additional details click here for a previous article on this blog. Okay Friends and Preservers of the Hastain Trail in Franklin Canyon! We are officially ready to fund raise and the kick off for this event is Saturday, April 9th from 8 A.M. to 1 P.M. It’s a picnic breakfast, brunch, lunch fund raiser in the meadow by the ranch house in Franklin Canyon. Bring your own food and/or bring food to share, whatever you like. Picnic and then hike or hike and then picnic. Come early if it looks like it will be a hot day, come late if it’s cool. Bring your happy selves and your guitar or your harpsichord and your checkbook. If you can’t make it, send your check with someone who can. Make it out to Stephen Jones. His credentials and information follow. Land Use Attorney Stephen Jones has consulted with us pro bono to this point and is ready to proceed as we have a strong case for ‘Implied Dedication to Public Use.’ (Thank you to those who have come forward with information regarding use of the Hastain Trail from the mid 1960’s to 1972.) Stephen Jones will continue to work for us at half his normal rate and comes highly recommended. Today the Los Angeles City Council unanimously passed the Los Angeles Bike Plan. It is no longer a draft document. 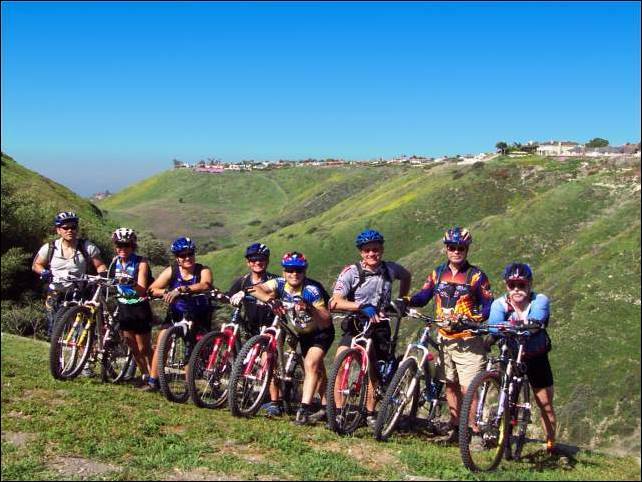 Continue the existing off-road bicycle trail and analyze and explore opportunities for additional off-road bicycle facilities and continue to abide by LAMC section 63.44 B16. Any proposal to consider the use of mountain bikes on City park trails must first be thoroughly reviewed and analyzed by the Board of Recreation & Parks and its staff. This simply puts in writing what will have to happen anyway before any changes to bike access to City Parks could be made. It was enough to placate the equestrian community, and did not really change anything. It was enough of a deal to get the Plan passed. The 2010 Bicycle Plan staff report and related documents for the City Planning Commission (CPC) meeting are now available on the LA Bike Plan project website (http://www.labikeplan.org). 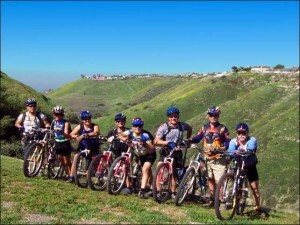 The Staff Report which accompanies the plan states specifically that the anti-mountain bike lobby were more vocal in their opposition, and nothing in the plan changes the status quo regarding mountain biking being off limits in Los Angeles City parks. The only change to the plan in Chapter 3, section 3.3 (Bicycling in City Parks) is the removal of the word “Unfortunately.” That pretty much sums it up. It isn’t even considered unfortunate that kids, adults, families, disadvantaged youths, and those seeking alternatives to riding bicycles on the street within the City of Los Angeles, all lose out in this Plan. The appropriateness of including policies about mountain or off-road bicycling within the Bicycle Plan, which is a chapter of the Transportation Element, has been long disputed by some constituents. The concerns stem back to the adoption of the existing Bicycle Plan in 1996 which included specific policies to study the feasibility of developing mountain bicycle trails elsewhere within the City park system. Despite mediated meetings with stakeholders (mountain bicyclists, hikers, and equestrians) during the development of this Plan, to discuss options and potential solutions, no consensus was reached. Mountain bicyclists continue to advocate for increased access to off-road park facilities, and hikers, environmentalists, and the equestrian community continue to articulate concerns about risk of accidents on shared use facilities and the potential for environmental damage to ecosystems. In testimony and written materials submitted at the public hearings, several persons expressed concern about the impact of allowing bicycles on equestrian trails. Additionally, some commenters took exception to the “tone” of the text and the policies relating to off-road bicycling and multi-use trails. The language and policies as originally written gave some members of the public the impression that mountain bicycling would be allowed in City parks and that the Plan was undermining the Department of Recreation and Parks’ authority over bicycles in City parks. Although the organizations and members of the public who have spoken and written against allowing bicycle on trails have been more vocal in their oppositions, a fair number of comments supported expanding the use of mountain bicycles on trails. The Department has reviewed the text relating to mountain bicycling and has made adjustments to clarify the intent of Objective 3.3 (see Appendix A). The City will continue to gather data on the issue and will not look to repeal the Department of Recreation and Parks’ authority over bicycles within City parks. Furthermore, none of the policies or programs within Objective 3.3 call for the expansion of bicycle mountain access beyond where it permitted today (Mandeville Canyon Park). Additionally, the policies contained in the 1996 Bicycle Plan explicitly state that the City will embark on allowing access in certain City parks have not been carried over into this Plan. CORBA, in our official comments on the current revision of the plan, presented arguments refuting almost every aspect of this portion of the recommendation letter. The one thing that remains irrefutable is that the anti-mountain biking lobby were more vocal in their opposition. Nearly one thousand supporters of off-road cycling wrote to the City after the initial draft of the Plan was released in 2009. Clearly this wasn’t enough, though it represents but a small minority of off-road cycling enthusiasts in the City of Los Angeles. The City Planning Commission Meeting on the 2010 Bicycle Plan (Case No. CPC-2009-871-GPA and ENV-2009-2650-MND) will take place on Thursday, November 4, 2010, after 8:30 AM at City Hall, Room 1010, 200 N. Spring Street, Los Angeles, CA 90012. The CPC agenda will be available after Thursday, October 28 on the Department of City Planning website (http://cityplanning.lacity.org). The Planning Commission will be making their recommendations regarding the plan to the various planning committees in late November. Sometime in December the City Council is scheduled vote to adopt or reject the plan. It continues to be in our best interest as off-road cyclists to remain engaged and to attend any and all public meetings and hearings. This is, after all, just a planning document. The City’s past record with following their plans has been abysmal, and though nothing was gained for us in this plan, nothing has really been taken away. We didn’t have trail access in City Parks before it. We need to remain engaged with the City Council, the Mayor’s office and the Department of Recreation and Parks as the decisions that affect us, irrespective of the plan, come from them. Encouragingly, the Mayor himself has expressed his support of allowing bicycles on City Park trails. Other aspects of the Plan for on-street cycling have been well-received by the bicycling community. Again, the City’s ability to execute is what counts. The proof is in the pudding, as they say.